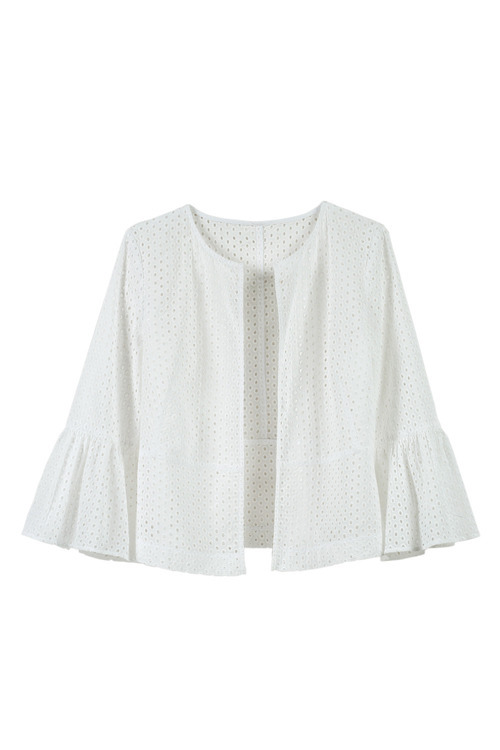 Radiant, elegant and effortlessly easy to style, the Grace Hill Broidery Ruffle Sleeve Jacket will elevate any outfit. Cut in two versatile hues ready to be paired with anything, it has on-trend bell cuffs and is made from a gorgeous lace broderie. It's crafted from cotton making this ultra-chic jacket durable and breathable, and it features a peplum hem for a figure-flattering fit. We can't wait to wear ours with a shift dress, fascinator and court heels for a day at the races, or over a cami with skinny jeans for the weekends. An everyday essential, the Grace Hill Signature Cami is available in two must-have colours and will take you wherever you need to go in comfort and confidence. 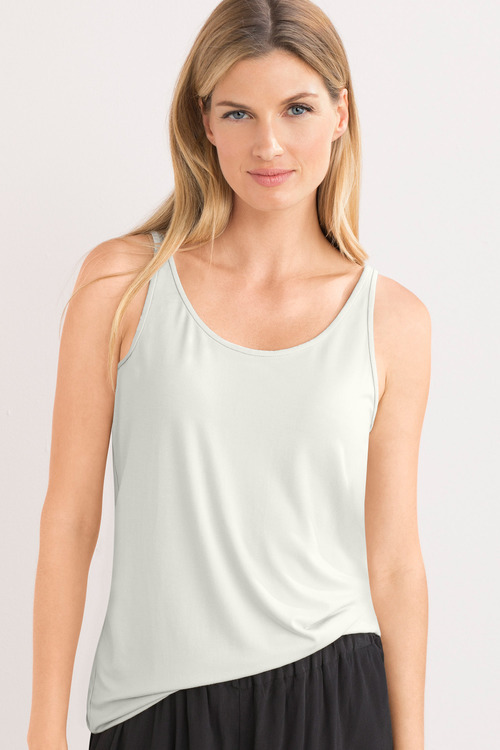 Cut from viscose, this cami is blended with elastane to ensure ease of wear and comfort without losing shape. Designed to skim the body, this cami is a no fuss option and can be worn with anything, be it alone under blazers or layering with tunics or shirts. 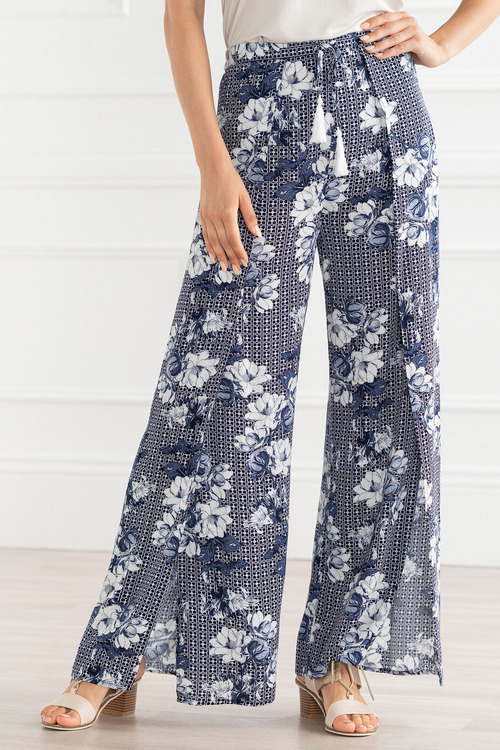 Grace Hill adds a cool and contemporary element to summer fashion with the Wrap Pants – available in several stylish and easy to pair colourways. Crafted from viscose, this piece is durable, comfy and easy to care for - perfect for regular wear throughout the seasons. Elastic to the back waist ensures extra ease of wear. Wear yours with a lightweight cami and strappy sandals, finishing with a longline necklace and straw hat. 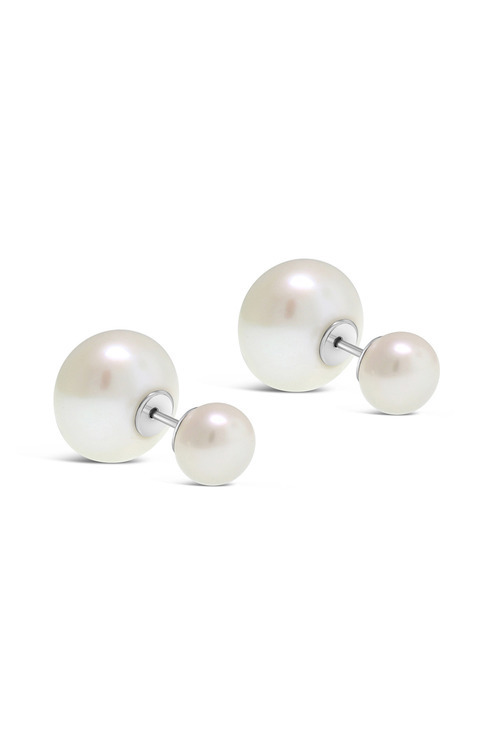 The Real Pearl Modern Twist Duo Stud Earrings create a bold assymetrical effect. 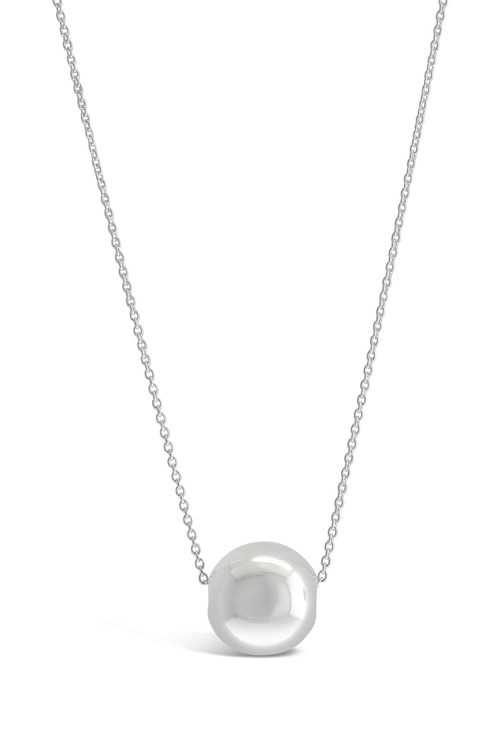 Made from freshwater pearls and sterling silver, the small pearl rests on the ear whilst the largest slighly peeps from below the lobe. Perfect statement earring to be worn from day to night. 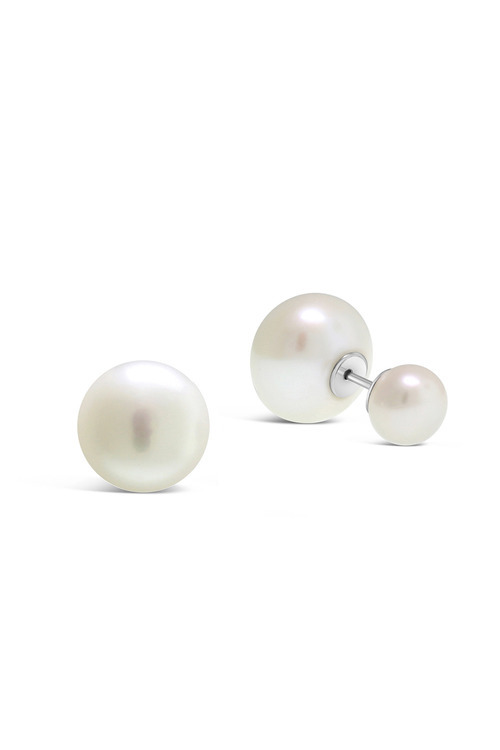 Timeless and captivating, our pearl range is made to last, to be passed down through generations. 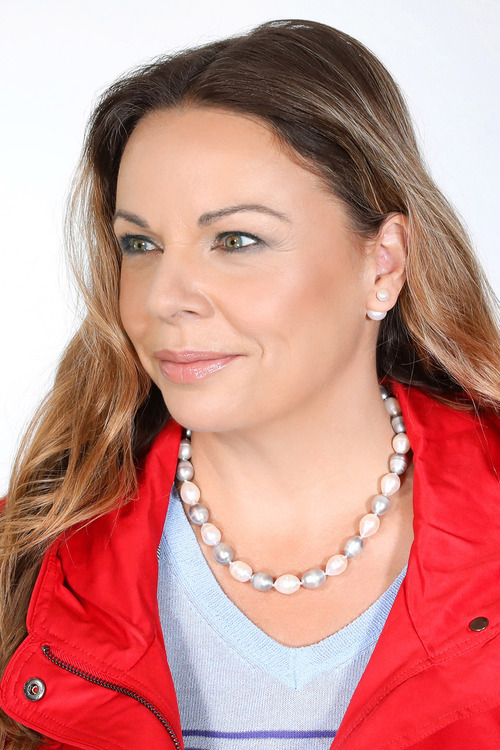 But how long your pearl jewellery will maintain its vibrant colour and shine depends on how you store and care for it. 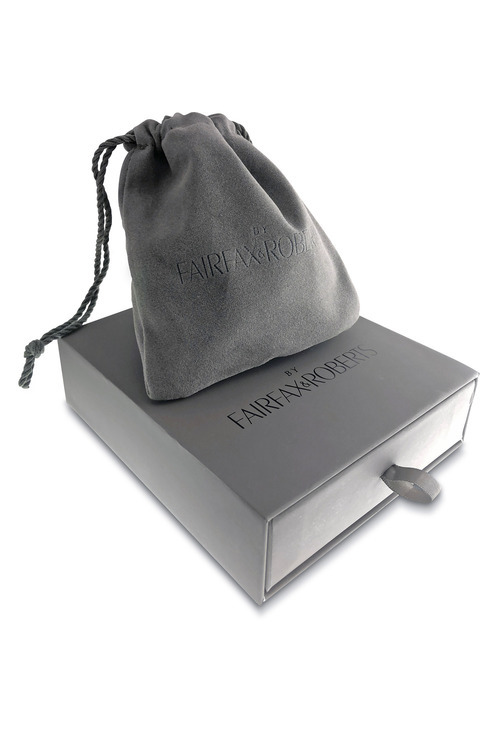 Pearls are incredibly soft and delicate, which is why we provide a special By Fairfax & Roberts pouch and box. We strongly recommend storing them in there, so they won't rub or scratch. Avoid storing your pearls with other jewellery to prevent rubbing against other pieces that may cause scratching on the pearl's surface. Gently wipe pearls with a soft, microfibre cloth after wear. If you notice any stains or makeup, use warm soapy water (pure soap only) to clean the marks, then ensure pearls are completely dry. Check the stringing of your pearls. 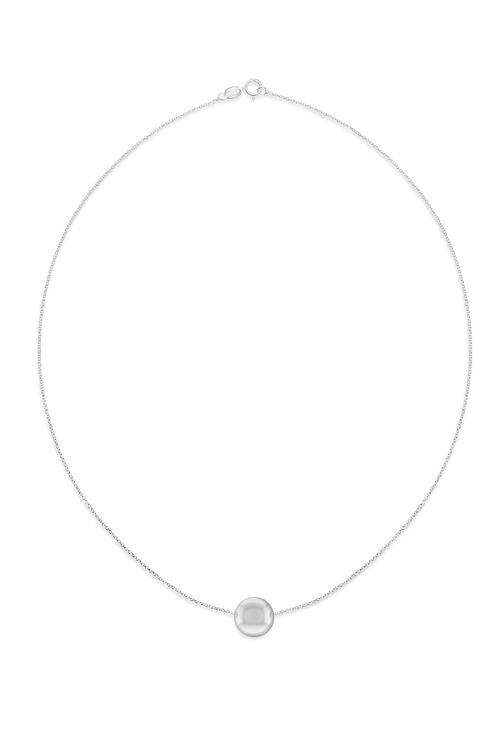 Normally, pearls should be restrung every 24 months, depending on frequency of wear. A good way to tell if they need restringing is by assessing whether the knots between each pearl appear stretched or frayed. Did you know? Your body's natural oils can benefit the pearls! Avoid wearing pearls in water as it will perish the silk they are strung on or the adhesive used to attach them to earring fittings. Be especially aware that the chemicals in chlorinated water will permanently damage the pearl, resulting in a dull pearl with no lustre. 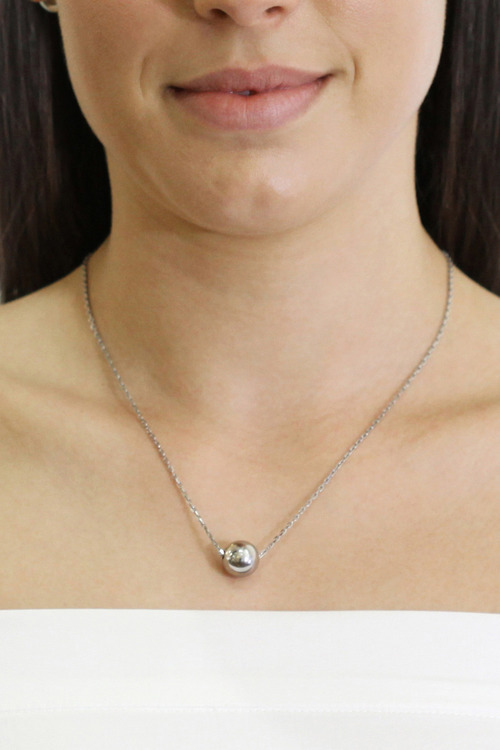 Avoid direct contact with perfume, makeup, tanning and lotions to avoid tarnishing, marking or discolouring the pearls. If the pearls are exposed to any of these, you may wipe them over with a soft damp cloth. 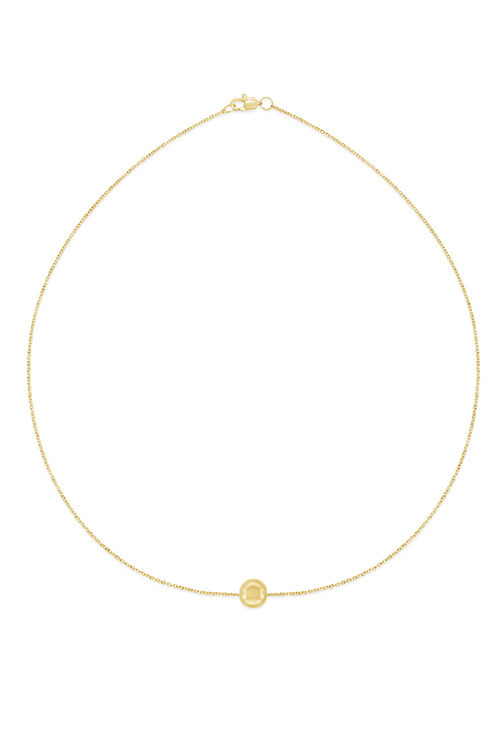 This modern, minimalistic piece is crafted from stainless steel plated in 18K yellow gold. 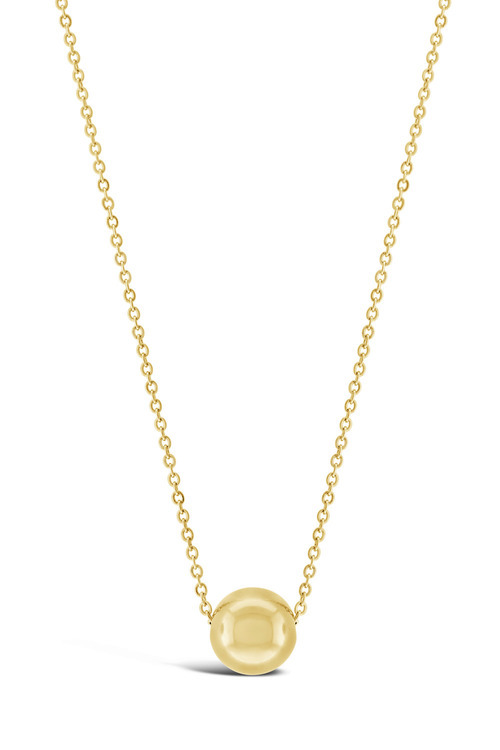 Secured with a lobster clasp, the Slider Necklace is the perfect piece for everyday wear. This simple style adds an elegant touch to a casual outfit. The perfect piece for everyday wear to take you from day to night. We're super confident you'll love this item of jewellery. But how long your jewellery will maintain its lovely shine and lustre depends on how you store and care for it. Try to keep your metallic jewellery in a soft pouch out of direct sunlight. This will help avoid rubbing, scratching and fading. The good news is that your jewellery doesn't require much maintenance. All you have to do is wipe clean with a soft, damp cloth. We recommend doing this after every wear but if you wear it often or you don't want to clean it every time, once every few weeks should suffice. Avoid direct contact with perfume and makeup to avoid staining the metal. Avoid wearing jewellery while showering, swimming or exercising. Never wear earrings or chains while sleeping. 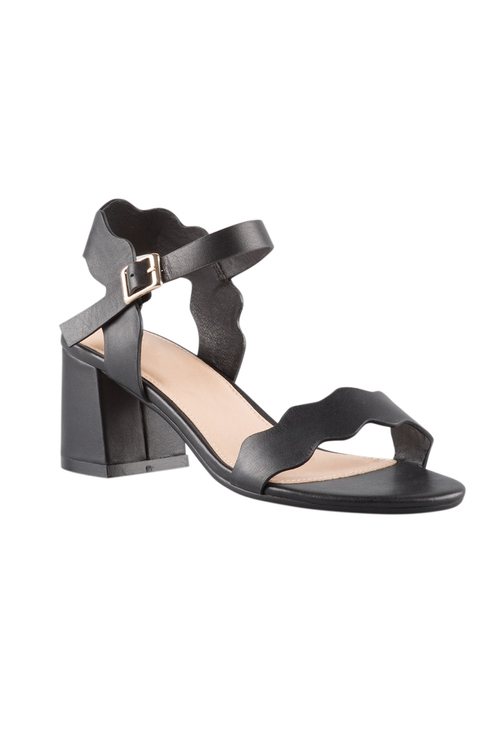 Inject a charming, contemporary element into your wardrobe with the Thornbury Sandal Heel, a must-have new design featuring super-cool scalloped edges to the upper. It's crafted from quality materials and closes with a buckle to the side. 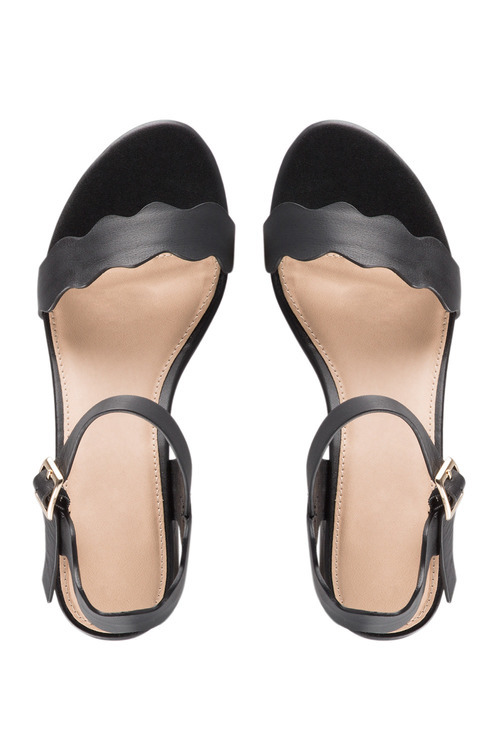 We can't wait to get our hands on these fashion-forward shoes. Wear yours with anything from boyfriend jeans, a striped t-shirt and fedora for weekend brunches, or dressed up with a pencil skirt, crisp blouse and tailored blazer.